It took just 24 hours on January 31st 2011 to turn this fixture into the game of the season. After all the tweets about helicopters and cars reportedly spotted here and there and everywhere, Fernando Torres chose to head towards Chelsea while Andy Carroll was at the centre of a pinball game between Liverpool and Newcastle United. All said and done, both the squads have added enough firepower which makes the game on Sunday a feisty one. Chelsea has been on the climb after a dismal end to 2010 which saw them secure just 9 points from a possible 27. 2011 though has been more kind as the Blues are unbeaten so far but one wonders if they might have just fallen out of the title race. However, looking at the way the league has taken shape this season, the probability of the winner, the top 4 and the relegating teams is more of a pondering thought than a certainity. Carlo Ancelotti is well aware of this fact and hence sees no reason why his team cannot perform to the best of its capability against Liverpool on Sunday. Liverpool is really turning out to be the rising Phoenix after seeing their worst season in top flight football till a few weeks back. It now looks like NESV, Kenny Dalglish and all the players are on the same page and have set the wheels in motion. 3 wins in their last 3 games has elevated them to the 7th spot in the league and a win on Sunday will take them closer to the top 4. While the arrival of Luis Suarez and Andy Carroll has already uplifted spirits in the dressing room, Suarez has already made an impact after he scored against Stoke City infront of the Kop in the midweek game, claiming that it was a ‘dream debut’. The Blues continue to be without Alex, Benayoun and Zhirkov, the trio being absent due to injury. New boy David Luiz might get a start provided he is match fit. His round trip back home to Brazil to get his work permit might be a cause for some fatigue but the defender has till Sunday to regain match fitness. 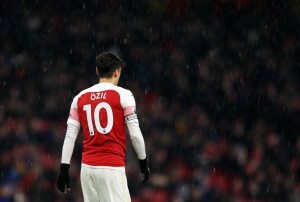 If he is to be included in the squad, then it is most likely that he will start on the bench. Ancelotti otherwise has no injury concerns that he should be fretting over. 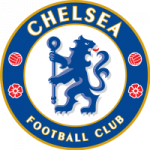 Regarding the Chelsea formation, although the Gaffer has admitted that he needs some time to find the perfect position for Torres in the formation, right now the best way to line up the squad seems to be the diamond formation: 4-3-1-2. This would indirectly make Chelsea’s passing game flow through the middle of the park more than the wide areas. So the creativity of Lampard and possibly Anelka (provided he plays in the hole behind the frontline) will be vital. There would be more pressure on the Liverpool defenders marking the zone around Torres as the striker would be eager to protract his recent gain in form. However Drogba’s inclusion as his strike partner could mean that Fernando might just be making the penultimate pass to the Ivorian. 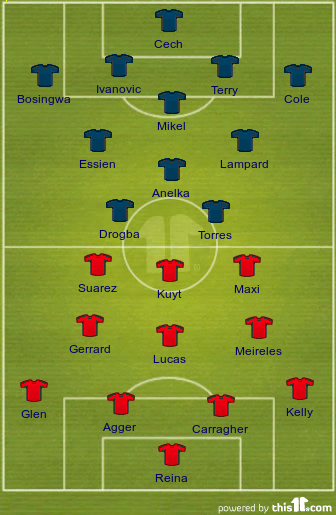 Probable Starting Lineup: Cech, Terry, Ivanovic, Bosingwa, Cole, Mikel, Lampard, Essien, Anelka, Drogba, Torres. The Reds’ team bus will see a fully fit squad save Jay Spearing and new signing Andy Carroll. While Spearing still has some way to go before he can hit the training pitch again, former Newcastle striker Carroll is going to be out for about 6-8 weeks due to his thigh injury. Jamie Carragher made his comeback to the squad in the midweek fixture against Stoke but was on bench and was never brought on, so he will have gained a little more fitness for this important game. Dalglish put out 3 centre backs and 2 wing-backs for the game against Stoke, but that is unlikely to happen this time around. A more realistic formation against Chelsea would be a 4-3-3. Liverpool can afford to go for this since the arrival of Suarez (and if he features) gives Kenny the option to employ him on the left attacking position. This would make it easier for Gerrard to move ahead and link up with the central striker. Overall, there would be more attacking options which are interchangeable on the pitch. With Meireles and Gerrard in the park, the passing can be through the middle or from out wide. Suarez – Will he shine again? 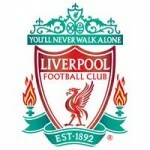 Probable Starting Lineup: Reina, Agger, Carragher, Kelly, Johnson, Lucas, Gerrard, Meireles, Kuyt, Maxi, Suarez. Fernando Torres (Chelsea): Chelsea’s new number 9 has explained his decision of quitting Liverpool for greener pastures and ironically, he will be lining up against his former club to taste victory at his new club. He knows all about Liverpool’s defense and vice versa. It will be interesting to see who lays a step ahead in judging the other. Fernando Torres though, is still going to be up against 11 ex-teammates and every Liverpool and Chelsea supporter will be waiting to see if he can find the back of Reina’s net. It’s all about Number 9. Steve, the mistake in the line-up has been corrected. However, the diagram correctly depicted the formation and the starting eleven. Thanks for bringing the error to our notice.